Boris Pena Cobián was born in San Sebastián, Spain in 1969. He studied Architecture from 1988-1995 at the Technical University of Madrid. Boris has worked on countless projects of different kinds, and he treats every project that comes into his hands as a challenge. His tenacity and persistence has led Boris to develop a broad portfolio of built projects, as well as winning prizes and honors for his contribution to the profession and to society. His 20 years of professional experience have granted him the credentials and skills necessary to manage highly complex and large-scale projects. 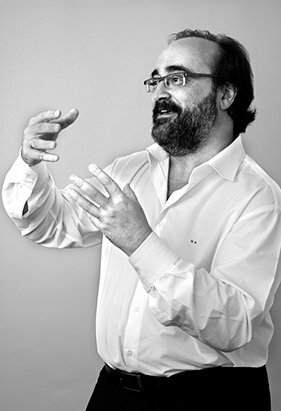 Boris was invited to become Project Leader at Sordo Madaleno Arquitectos in 2013. Even as the most recent Project Leader to join the firm, his current project portfolio comprises developments totaling over 500,000m2 of built area. Since he was an architecture student Boris has stood out, receiving numerous prizes for his work, including a prize for the ASNIMO Residential Center for Down’s Syndrome in Palma de Mallorca, the prize for the New Health Advisory Board Headquarters in Palma de Mallorca, the prize for best single-family dwelling in Mallorca between 2007 and 2010 for the restoration of the former Cine Doré, which also the “Guillem Sagrera” City of Palma award, among many others. The qualities that mark Boris out include his positive approach to teamwork, his skill at coordinating different administrations, his flexibility, openness and willingness to adapt to working conditions of the project or development, together with his warmth and ability to suitable regulations and/or necessities in a swift and detailed manner. Over a career that has seen millions of square meters built, Boris has developed abilities including comprehensive management of building processes (design management, project management and construction management), preparation of commercial presentations, management of client contracts, contractual oversight of building implementation (supplier contracts, tendering, quality control and meeting deadlines), feasibility studies and optimization of processes. His constant search for new solutions and materials have made him an expert in contemporary trends in architecture and innovative systems and materials. This knowledge is continually applied in the projects under his charge.